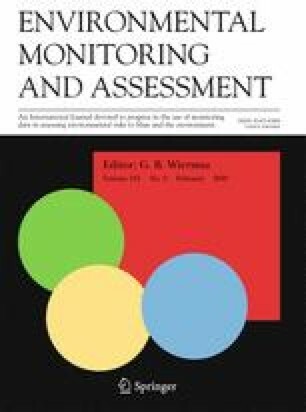 Environmental monitoring and assessment of the extent and change of land uses and their renewable natural resources over time is a key element in many international processes and one crucial basis for sustainable management. Remote sensing plays an increasingly important role in these monitoring systems, especially if the interest is in large areas. Integration of remote sensing requires comprehensive and careful preprocessing and a high level of expertise which is not always at hand in all applications. However, easy-to-implement sampling techniques based on visual interpretation are an alternative approach for utilizing remote sensing imagery, including the evolving archives of georeferenced and preprocessed data provided by virtual globes like Google Earth, Bing, and others. The goal of this paper is to propose a simple unified framework that may be used in the context of sampling studies and environmental monitoring from local to global scale. Besides the definition of a sampling design, the observation or plot design, i.e., defining how observations are to be made and recorded, has a strong influence on the precision of estimates as well as the overall efficiency of a sampling exercise. As an example, we present a simulation study focusing on the estimation of forest cover in artificial landscapes with different coverage and degree of fragmentation. The sampling units we compare are point clusters with different configuration and spatial extent. The online version of this article ( https://doi.org/10.1007/s10661-018-7152-y) contains supplementary material, which is available to authorized users. We thank anonymous reviewers for helpful comments and suggestions. This research was funded by the Deutsche Forschungsgemeinschaft (DFG, German Research Foundation)—project no. 273259202. Achard, F., Defries, R., Eva, H., Hansen, M., Mayaux, P., Stibig, H.J. (2007). Pan-tropical monitoring of deforestation. Environmental Research Letters, 2. https://doi.org/10.1088/1748-9326/2/4/045022. FAO. (2009). The 2010 Global Forest Resources Assessment Remote Sensing Survey: an outline of the objectives, data, methods and approach. Techical Report, FAO. http://www.fao.org/3/a-k7023e.pdf. FAO. (2010). Global forest resources assessment. Technical Report. FAO. arXiv:0404048. ISBN:978-92-5-106654-6 . GADM. (2012). Gadm database of global administrative areas, version 2.0. https://www.gadm.org/. Gibbs, H.K., Brown, S., Niles, J.O., Foley, J.A. (2007). Monitoring and estimating tropical forest carbon stocks: making REDD a reality. Environmental Research Letters, 2. https://doi.org/10.1088/1748-9326/2/4/045023. Gregoire, T., & Valentine, H. (2007). Sampling strategies for natural resources and the environment. Chapman & Hall/CRC Applied Environmental Statistics. Taylor & Francis. https://books.google.de/books?id=1z71MAe3gL0C. Song, L., Kimerling, A.J., Sahr, K. (2002). Developing an equal area global grid by small circle subdivision. http://www.ncgia.ucsb.edu/globalgrids-book/song-kimmerling-sahr/. Swinbank, R., & Purser, R.J. (2006). Fibonacci grids: a novel approach to global modelling. Quarterly Journal of the Royal Meteorological Society https://doi.org/10.1256/qj.05.227. Youngren, R.W., & Petty, M.D. (2017). A multi-resolution HEALPix data structure for spherically mapped point data. Heliyon https://doi.org/10.1016/j.heliyon.2017.e00332. Yu, L., & Gong, P. (2012). Google earth as a virtual globe tool for earth science applications at the global scale: progress and perspectives https://doi.org/10.1080/01431161.2011.636081.